View Larger Map - The map shows the sampling locations of Project 4 - Biological Response Indicator Devices. 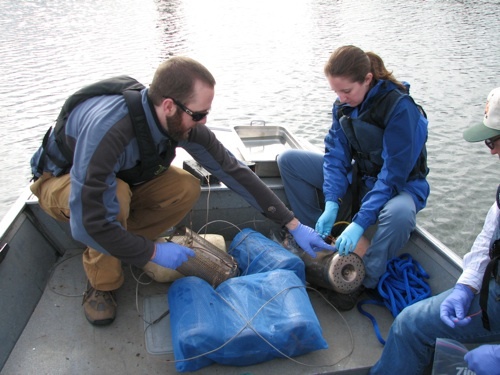 PSDs were used to measure polycyclic aromatic hydrocarbons (PAHs) in the Willamette River; upriver, downriver and within the Portland Harbor Superfund megasite during wet and dry seasons. Click on location for a pop-up window listing name, location, and years sampled. River miles are approximate and rounded to the nearest half mile. The exact coordinates of the study sites may have changed slightly from year to year and deployment to deployment depending on local conditions.